Brigadier General Diana M. Holland graduated from the United States Military Academy and was commissioned a Second Lieutenant in the Corps of Engineers in 1990. 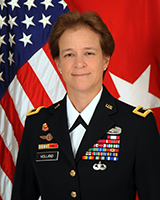 Brigadier General Holland’s military service began in Germany where she served as a vertical construction platoon leader in the 79th Engineer Combat Battalion (Heavy), and as a company executive officer and battalion assistant operations officer in the 94th Engineer Combat Battalion (Heavy). Upon returning to the United States, BG Holland was assigned to the 30th Engineer Battalion (Topographic), 20th Engineer Brigade, at Fort Bragg, North Carolina and served as the battalion logistics officer and then as the commander of Headquarters and Headquarters Company. Following company command, BG Holland earned a Master of Arts degree at Duke University en route to a teaching assignment at the United States Military Academy. She then attended the Army Command and General Staff College and the School of Advanced Military Studies (SAMS) where she earned a Master of Military Arts and Sciences degree. She was assigned to the 3rd Infantry Division in July 2004, and deployed to Operation Iraqi Freedom 3 serving as a division plans officer and then as the operations officer in the 92nd Engineer Combat Battalion (Heavy). Upon return from Iraq, BG Holland served as a plans officer in the Operations Directorate, United States Central Command at MacDill Air Force Base in Tampa, Florida. Brigadier General Holland commanded the 92nd Engineer Battalion (Black Diamonds) from July 2008 to June 2011. She deployed with Task Force Diamond to eastern Afghanistan from May 2010 to April 2011. After relinquishing command, BG Holland was a United States Army War College Fellow at Georgetown University. In 2012, BG Holland assumed command of the 130th Engineer Brigade at Schofield Barracks, Hawaii. The following year, she deployed with the Brigade Headquarters to Bagram Airfield, Afghanistan where the unit served as the Theater Engineer Brigade, Joint Task Force Sapper. The Brigade redeployed to Schofield Barracks in June 2014 and Brigadier General Holland relinquished command in July. During 2015, BG Holland served as executive officer to the Director of the Army Staff at the Pentagon and then Deputy Commanding General for Support, 10th Mountain Division (LI) at Fort Drum, New York, and deployed to Afghanistan in support of Operation Freedom’s Sentinel. Most recently, BG Holland was assigned as the Commandant of Cadets at the United States Military Academy, West Point. Brigadier General Holland’s awards and decorations include the Distinguished Service Medal, Legion of Merit (w/ OLC), Bronze Star (w/2 OLC), the Defense Meritorious Service Medal, the Meritorious Service Medal (w/4 OLC), the Combat Action Badge, the Senior Parachutist Badge, the German Parachutist Badge and the Silver Order of the de Fleury Medal. Brigadier General is married to James Holland Jr. They have two children, four grandchildren, and two Yorkshire Terriers. 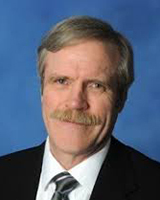 Dr. John Christy is a Professor of Atmospheric Science and Director of the Earth System Science Center at the University of Alabama in Huntsville (UAH). He has also been Alabama’s State Climatologist since November 2000. He is mostly known for his work with the satellite-based temperature monitoring for which he and Dr. Roy Spencer received NASA’s Exceptional Scientific Achievement Medal. Christy helped draft and signed the 2003 American Geophysical Union statement on climate change. Other professional affiliations: Dr. Christy is listed as a “Roundtable Speaker” for the George C. Marshall Institute, a right-wing conservative think tank on scientific issues and public policy. He is also listed as an expert for the Heartland Institute, a libertarian American public policy think tank. Dr. Loren C. Scott is President and founder of the Loren C. Scott & Associates firm, a 35-year old firm that provides economic consulting and public speaking services for a wide range of clients. Consulting activities include impact studies, forecasting services, analysis of policy proposals, and general economic analyses. Consulting clients include BP, ExxonMobil, Entergy Corporation, J. P. Morgan Chase, Capital One Financial, Nucor, Sasol, and a diversity of others. Our objective is to put together the very best team of associates to attack our client’s problems. Dr. Scott makes 50-70 presentations a year on the state of—and the outlook for—the economy and the energy sector in particular. He is one of the 32-member National Business Economic Issues Council, which meets quarterly to discuss issues of state, national, and international interest. This group has experts who cover international trade, Washington economic policy, retail trade, trucking, steel, chemicals, etc. Dr. Scott is an energy specialist on the NBEIC. He has been appointed to the Economic Advisory Board of the U.S. Council on Competitiveness—a group made up of the CEOs of the Fortune 100, top university presidents, and presidents of three major unions. He has been interviewed on MSNBC, CNBC, Bloomberg TV, and several local TV stations and his work has been cited in such publications as the Wall Street Journal, the Financial Times, USA Today, the Los Angeles Times and the Moscow Times, to name a few. Dr. Scott was on the Economics Department faculty at Louisiana State University from 1969 to 1998, where he rose through the ranks from Assistant Professor to the holder of the Freeport-McMoran endowed Chair of Economics. He is presently Professor Emeritus of Economics at LSU. Over the thirteen-year period from 1983-96, Dr. Scott was the chairman of the Economics Department at LSU. During that time, the Department’s ranking among the 3,000 economics departments in the U.S. rose from 101st to 38th. He received 7 awards at LSU for outstanding classroom teaching. Mr. R.D. James was confirmed by the Senate on January 30, 2018 and sworn in as the 12th Assistant Secretary of the Army for Civil Works on February 5, 2018. 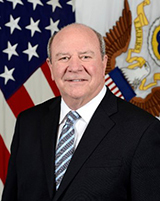 As the Assistant Secretary of the Army for Civil Works, he establishes policy direction and provides supervision of the Department of the Army functions relating to all aspect of the U. S. Army Corps of Engineers’ Civil Works program. 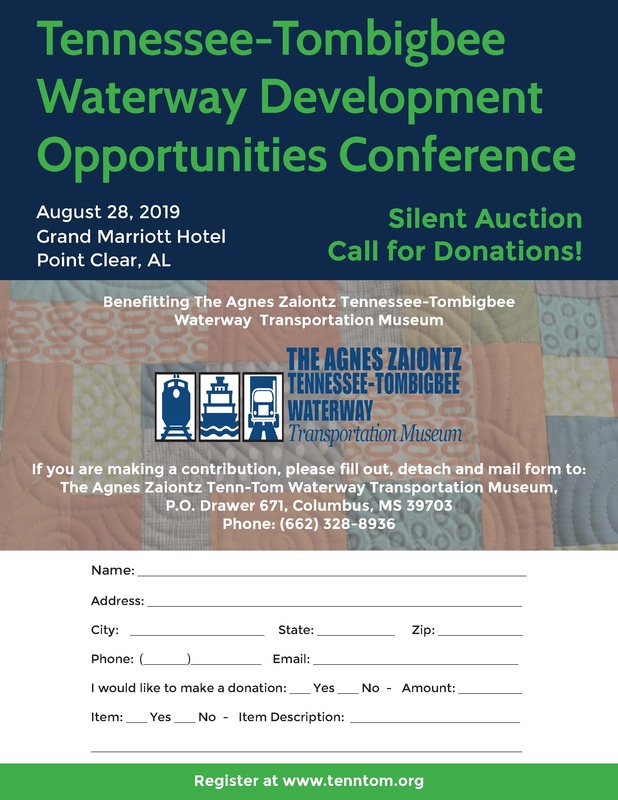 These responsibilities include programs for conservation and development of the nation’s water and wetland resources, flood control, navigation, and shore protection. Prior to his appointment, Mr. James was a self-employed farmer and manager of cotton gins and grain elevators for the A.C. Riley Company in New Madrid, Missouri. President Ronald Reagan appointed Mr. James to the Mississippi River Commission on December 1, 1981. After his initial nine-year-term had expired, Mr. James was reappointed to nine-year terms by Presidents’ George H. W. Bush, George W. Bush and Barack Obama. While employed with the Kentucky Department of Water Resources engineering office, he attended the University of Kentucky and graduated with a degree in civil engineering in 1971. Mr. James received the Sikeston Area Chamber of Commerce 2007 Agri-Business Award and was the New Madrid County Outstanding Conservation Farmer of 1987. He served on the Board of Directors and Executive Committee of the Southern Cotton Ginners Association, Memphis, Tennessee; Board Member, Cotton Producers of Missouri, Kennett, Missouri. 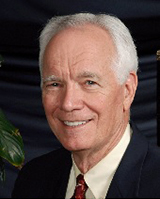 He is a former member of both the Board of Directors of the U.S. Bank of Sikeston, Missouri, and the New Madrid County Board of Education (served as the president from 1980-1998).